Jumbo Empanadas: Hey Look! A Vegetable! It’s been ages since I’ve participated in a blogging event, especially Blog Party hosted by Stephanie of Dispensing Happiness. I always have such good intentions but lately it just hasn’t happened. But when I heard Stephanie was hosting yet another round of Blogging By Mail, I knew that I had to get back into participating. I signed up immediately for BBM, (which has the theme of ‘Little Things Mean A Lot’) and then decided that I would also participate in this month’s Blog Party, which is vegetarian themed. Anyone who knows me, knows I love meat, (especially bacon) but that doesn’t mean I don’t eat my veggies. I actually really like vegetables but they don’t have the same show stopping appeal that bacon does, (ok, maybe I’m biased) so they don’t make it onto my blog as often as I eat them. Roast the peppers whole in a 450F oven until the skin begins to turn black. Remove from the oven and place immediately in a plastic bag. Let the peppers sit for ten minutes in the bag and then remove the skin and discard along with the inside of the peppers. Serve with fresh cut veggies. Blend and serve. Garnish with a clementine slice if you feel so inclined. Posted by Brilynn at 11:29 a.m.
Ooh, thanks for reminding me! I totally have a kiwi I should use already. Go bacon! :) Sorry about your finger. I once passed mine through a grater. OUCH. 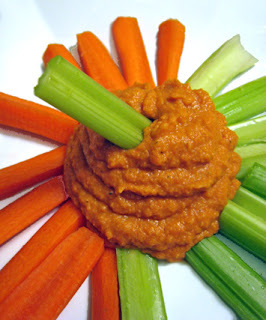 Roasted Red Pepper Hummus: I'm a lover! 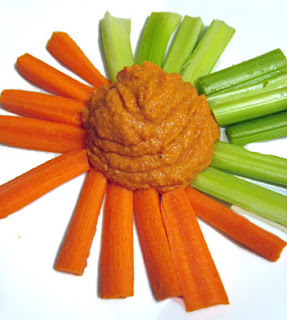 Roasted red pepper hummus is such a great dip/spread! You are reminding me about eating healthy this time of year...why? oh why? ...Looks beautiful! I love roasted red pepper hummus -- well, all kinds of hummus, really. Worth getting injured for! I love hummus, but I've never tried roasted red pepper hummus. This sounds delicious! Looks delicious! I know what you mean about kitchen cuts (and/or burns). I always feel like I'm incompetent when it happens. Go appliances! Lifesponsor sounds a lot like a husband to me. Is that what you're after? I've got a spare 24 year old, but I doubt you'd want him. He can't afford deluxe kitchen goods. 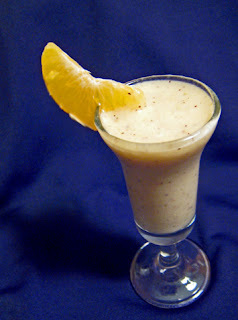 T'm going to make that smoothie---thanks! Poor thumb. Hummus looks delicious, must try to make my party dish FAST! 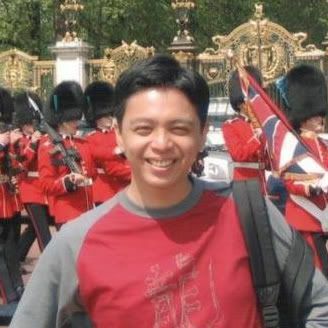 Hello, I participated in the Dispensing Happiness blog party as well and that was how I learned about your blog. What a nice idea to use sesame oil in place of thaini in your dip. I am sure your red pepper hummus tastes great, but it looks like a steaming pile of dog crap the way you have pohtographed it. You might try a different angle or put it in a bowl . Hoummous or hummus is an appetizer we also make in Cyprus but in a different way. Must definitely try this and the display of your veggies is so appetizing. I have posted the Cypriot version if you would like to take a look at.